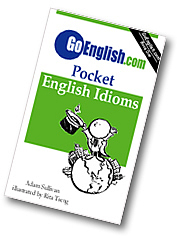 Today's Idiom = "An Arm And A Leg"
"An Arm And A Leg"
An arm and a leg is a high price to pay. Example: "How much did you pay for that watch?" Answer: "An arm and a leg." Something that is costing you an arm and a leg costs too much. Example: "I have to move out of this hotel. It is costing me an arm and a leg." If it cost you an arm and a leg, it was very expensive. Example: "Be careful with that phone. It cost me an arm and a leg."